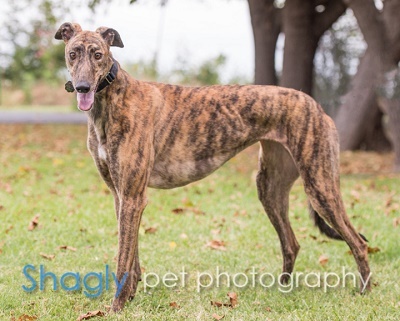 Haven, aka DS Miss B Haven, is a 4.5-year-old brindle female born December 20, 2013. Her sire is P's Gibbs and her dam is JS Naut A Byte. Haven has 34 races on record in Florida from 2015 to 2016. Haven was in a home for a year, but it was not meant to be and she has returned to GALT to resume her search for a forever home. Haven is not considered cat tolerant at this time. 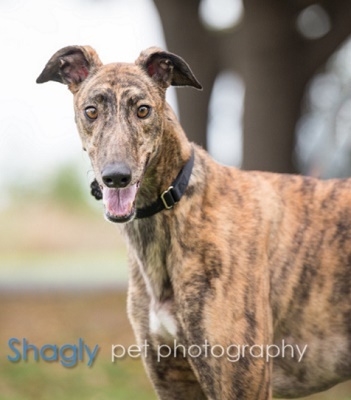 Haven was part of the Greyt 32 Arrival!